Amsterdam, the Netherlands – Royal Philips (NYSE: PHG, AEX: PHIA) today announced it will showcase how consumer health and professional healthcare are coming together in the Philips HealthSuite digital platform, the company’s cloud-based innovation platform, to help consumers and their healthcare providers obtain a complete picture of their health as well as take the right steps to remain healthy at every stage of life. During the Consumer Electronics Show (CES), January 6-9 in Las Vegas at the Sands Expo, booth #72941, Philips will demonstrate apps that help track a baby’s development to a child’s tooth brushing habits, as well as offering personalized grooming advice for men. Additionally, there are connected health solutions for patients recovering from acute conditions that enable seniors to be more independent, allowing them to stay at home where they are most comfortable. The Philips HealthSuite digital platform is an open, cloud-based platform of services, capabilities and tools that allows Philips and its partners to create the next generation of connected health innovations. It interoperates seamlessly with other cloud-based technologies such as the Salesforce Health Cloud and Amazon Web Services. The platform will also support professional healthcare solutions, personal coaching apps and Philips consumer devices, as well as those from other open platforms. In addition, the platform will support population health analytics, giving clinicians a better view into how to support society, from understanding if a baby is hitting development milestones, to managing patients with chronic diseases like diabetes, to understanding the unique needs of older adults and how to empower them. Philips Avent Smart Baby Monitor uGrow App – The uGrow app is a new digital parenting platform and corresponding Smart Baby Monitor, which supports the healthy development of babies at every stage, with personalized advice and insights to help promote empowered parenting. Philips Sonicare for Kids – An interactive toothbrush with a fun, character-based training app that keeps kids engaged for the full dentist-recommended brushing time of two minutes while they develop healthy tooth brushing habits for life. 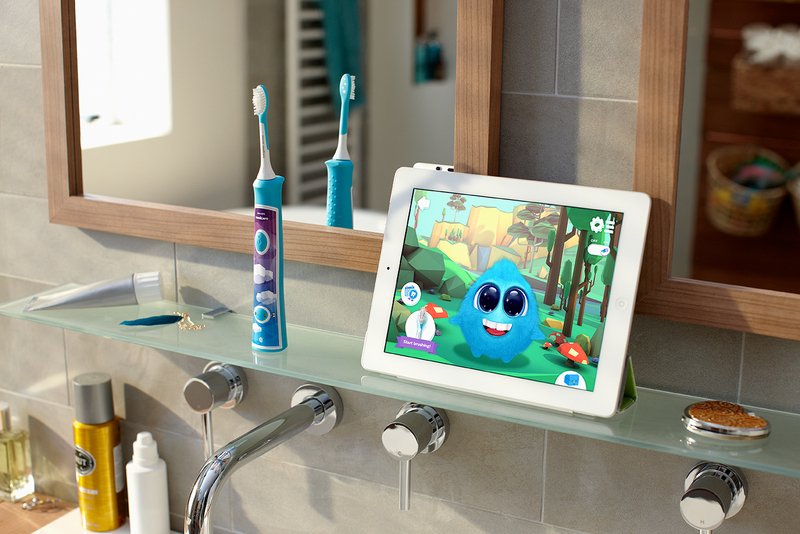 The app syncs with the electric toothbrush via Bluetooth® wireless technology* to track brushing and provide real-time feedback to help kids develop better brushing techniques. 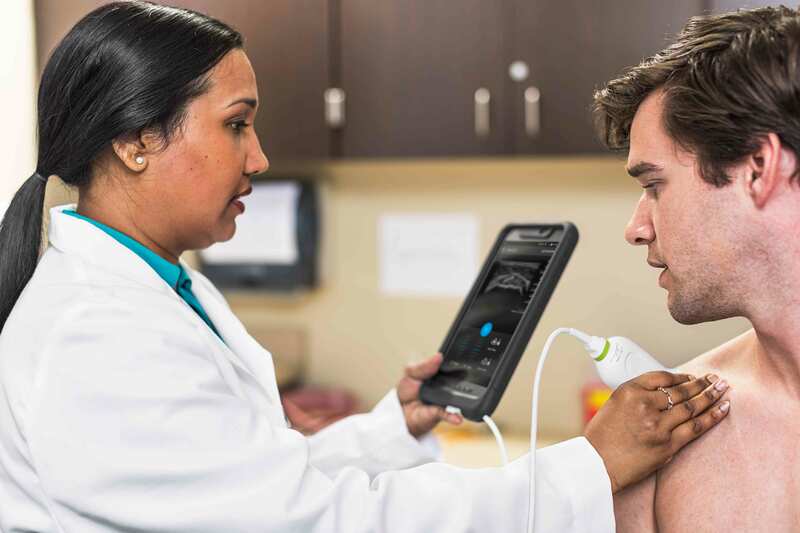 Philips Lumify – The world’s first app-based ultrasound medical imaging system connects off-the-shelf, compatible smart devices with a unique mobile application and advanced ultrasound transducer technology, making this solution ultra-mobile and cost effective. Philips Norelco Smart Shaver series 7000 – The world’s first Bluetooth® connected shaver assesses your skin and shaving routine and gives personalized guidance to avoid skin irritation. The Philips Body analysis scale – The Philips Body analysis Scale measures weight, estimates body fat through Bio-Impedance Analysis, and calculates BMI supporting the entire family with up to eight user profiles. The Philips Health Watch – Unlike fitness trackers, this unique Health Watch has been designed as a medical device with clinically validated accuracy of measurements and algorithms. Using a proprietary optical heart rate sensor and accelerometer, it provides data that clinicians and users can trust. The watch continuously and automatically measures a wide range of health biometrics (including activity, calories burned, heart rate and sleep patterns). 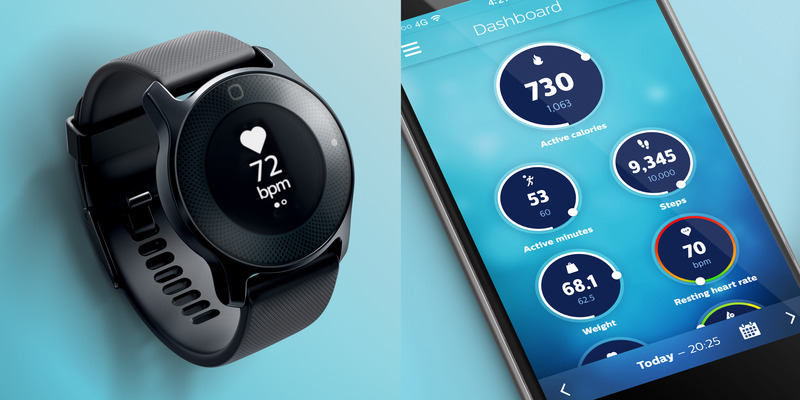 Wirelessly connecting to the Philips HealthSuite Health app for personal goal setting, support and motivation, the watch helps make healthy lifestyle choices easier. Philips Diabetes Support Solution – Philips and Radboudumc have introduced a prototype connected digital health solution to improve care for the nearly 400 million people living with diabetes worldwide and their caregivers. 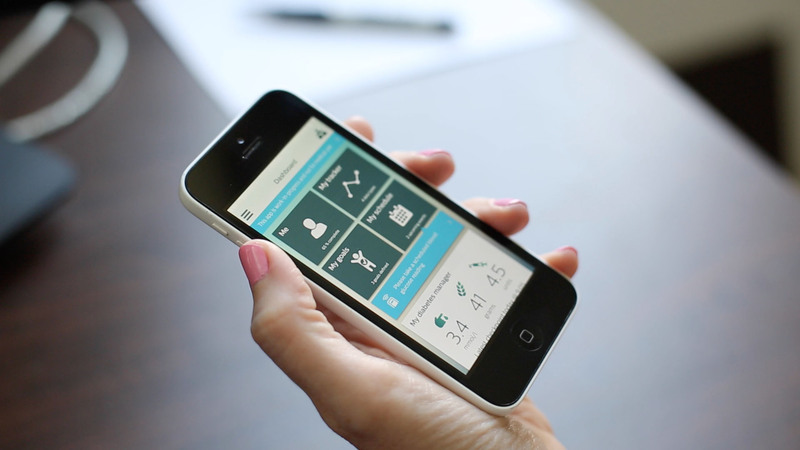 A CES Innovation Honoree, the award-winning app combines a diabetes self-management app with an integrated online community for collaborative care. Philips PulseRelief – Offering wireless, app-controlled TENS (Transcutaneous Electronic Nerve Stimulation) therapy for more comfort and complete freedom of movement, the Philips PulseRelief helps relieve mild to moderate musculoskeletal pain. Easy and convenient to use, pain sufferers can manage and personalize treatment from their smartphone or tablet according to their needs, choosing from 15 programs and 60 intensity levels. Philips eCareCoordinator and eCareCompanion – eCareCoordinator supports population health management by providing clinicians with a daily review of each of their patients including vital signs, blood pressure and weight, and care team insights, allowing them to prioritize patients and adjust care plans or intervene as needed. With Philips eCareCompanion, patients have a self-service portal, driving engagement and self-management. Accessed via a tablet, the app allows patients to answer questions about their health, enter measurements and connect with their care teams. Philips CareSage – A powerful predictive analytics engine that enables health systems and caregivers to better monitor and care for elderly patients by combining actionable insights with wearable devices and monitoring. CareSage provides analysis of real-time and historical data from healthcare providers and Philips Lifeline personal emergency response system data, to proactively identify patients most likely to have health issues. This allows clinicians to intervene before problems occur, potentially helping patients stay healthier and reduce avoidable hospitalizations.